VSSL Ultimate Survival Flashlight | BUDK.com - Knives & Swords At The Lowest Prices! 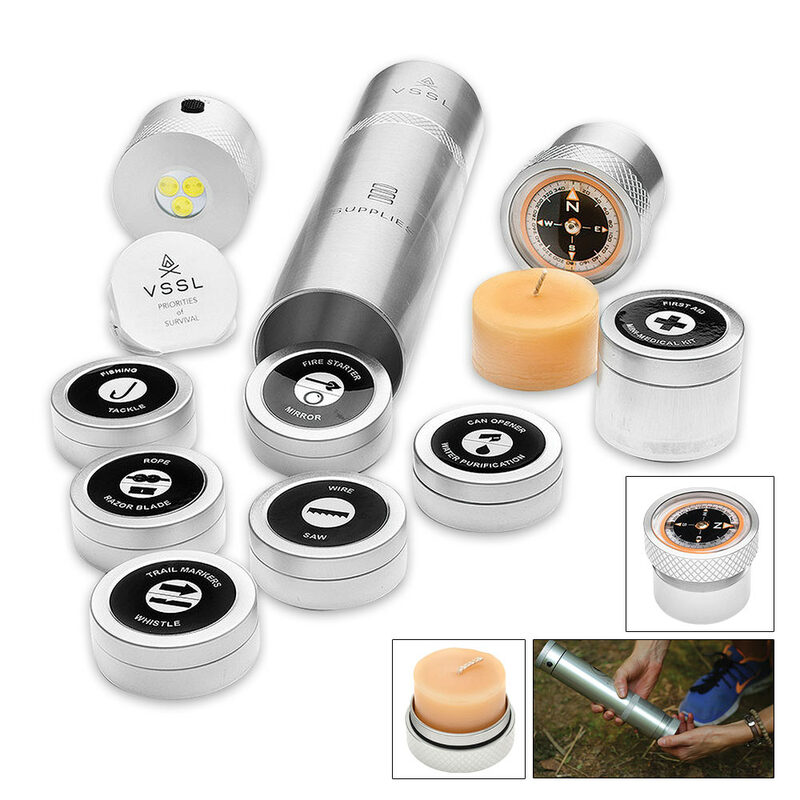 The VSSL Ultimate Survival Flashlight is your must-have survival or just outdoor excursion tool. Whether you plan to be out for a few days or a few hours, having critical supplies in a compact weather-resistant case is an absolute necessity. 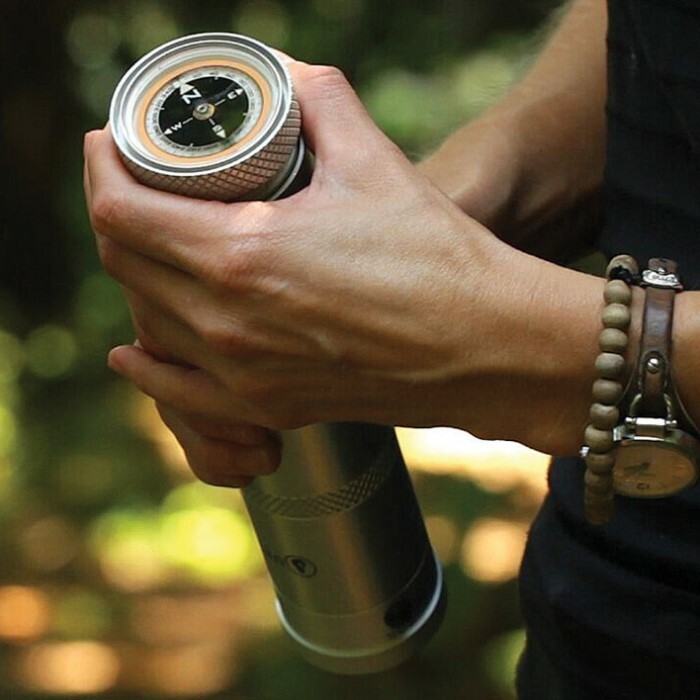 The flashlight case is constructed of seamless extruded military specification anodized aluminum. 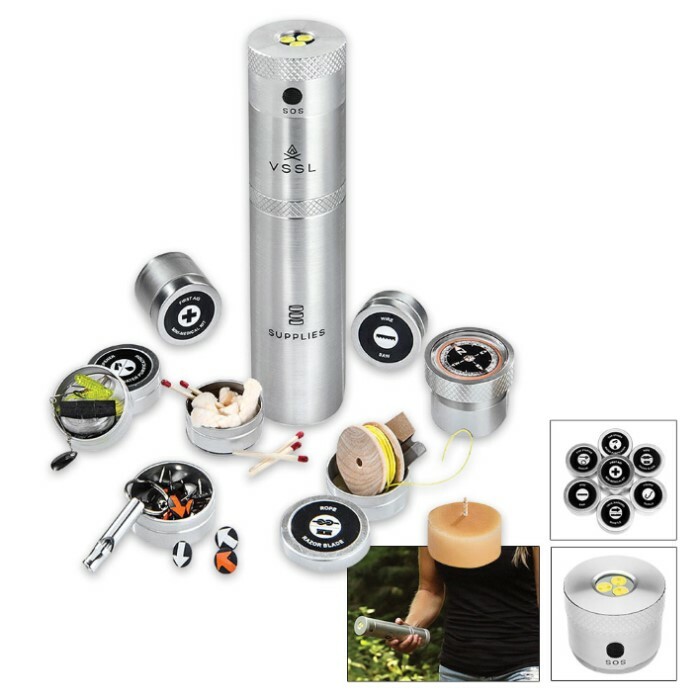 It has a dual mode LED beam lantern light what will illuminate a wide area and the batteries are included. Then, you look inside and it has a compass, beeswax candle, razor blade, water purification tablets, wire saw, emergency whistle, waterproof matches, fire starters, fishing gear, signaling mirror, Marine grade rope, P38 can opener, trail markers, first aid supplies and survival instructions. Now, that’s a lot of survival gear in one, compact package!